I remember praying one morning, still in bed, asking God to provide us with plenty of food. We were struggling financially, and our pantry was empty. His provision was almost daily. I had no idea what I was going to cook; I couldn’t make a plan, not even for a week. And that morning (feeling exhausted of the whole situation), I called to the Lord, and His answer had already arrived among the unopened mail – there was a check! Crying, I praised and thanked the Lord for his provision. Lazarus was very sick so his sisters Martha and Mary sent word to Jesus. When he received the news, he did not leave the place he was right away. Instead, Jesus waited two more days. He knew what was going on; Jesus was aware of how bad Lazarus’ health was. But, why didn’t he go? Why did he choose to delay? He had a bigger plan, one that would touch the lives of many. Jesus asked to take the stone away from the cave where Lazarus’ body laid. Martha said, “but, Lord.” Next Jesus prayed thanking the Father because He always hears. Then, he called in a loud voice: “Lazarus, come out!” And the man who was dead came out alive all wrapped around. Then Jesus commanded to take off his grave clothes and let him go. When you have a need and cry out to Jesus to help you, do you expect him to answer right away? I know that I do. I want him to come to my rescue immediately, and when He delays, I get anxious, frustrated. Does He enjoy seeing us suffer? Absolutely not! 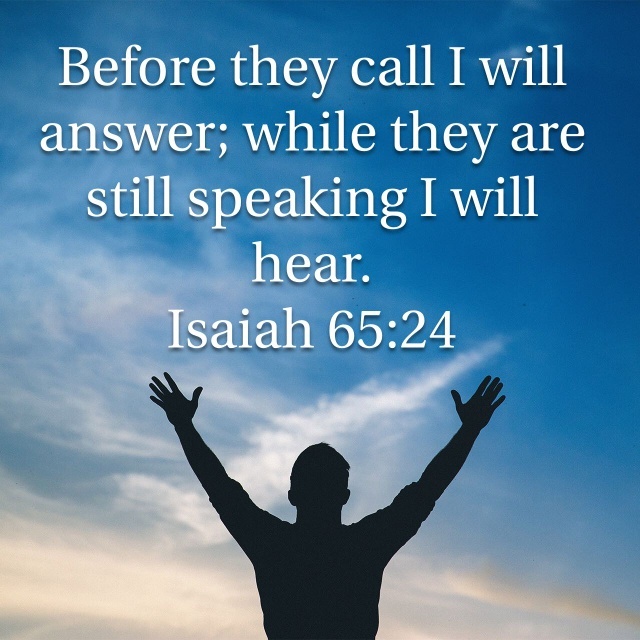 God hears us when we call Him; He may answer immediately or may take some time, or He may simply say “no.” But he always answers. He may wants us to learn something we don’t know. The answer that delays is the one that brings us to our knees. We depend on Him because there’s nothing else we can do. Our primary plan and our backup plan have not worked. So, what do we do? We seek Him through prayer and by reading His Word, and then follow His instructions. The time has come, His time has come to glorify His name. It is time to take off your grave clothes! When my children were growing up I used to donate the clothes they had outgrown. I first checked them and asked myself, “If anyone would give me these clothes, would I take them?” Then I would wash them, press them, if necessary, so they looked nice, and bring them to the donation place. Once, when I arrived to the place, instead of taking donations where they used to, they pointed me to a big container in the parking lot. I drove there and found many bags of clothes on the floor. Among the things I saw, there was a pair of sandals inside an opened box. I couldn’t believe my eyes; those sandals needed to be thrown away. I was so impressed and sad at the same time. How can people give away things like these. When I got home, I told my husband about what I saw. His answer surprised me even more. He said, your donation was like Abel’s offering to God. When the brothers Cain and Abel presented their offering to God. The first one was careless and the second one was dedicated. You can read the story here: https://bible.com/111/gen.4.1-7.niv. I’ve never seen this story the way my husband did. I felt very good because God was pleased with me. Let’s treat others the way we want to be treated.